You can’t really spoil a sporting event. A team wins, and the world knows about it in real time. Like last night, for instance, the mighty Cleveland Cavaliers beat the less mighty Golden State Warriors to become NBA champs. Everyone knew about it minutes after, thanks to Twitter and ESPN and CNN and whatnot, and if you didn’t know, you probably didn’t want to. That was the case with Paul Dano, who is apparently a huge LeBron James fan. The actor and star of the upcoming Swiss Army Man was in Korea for work and missed the game. 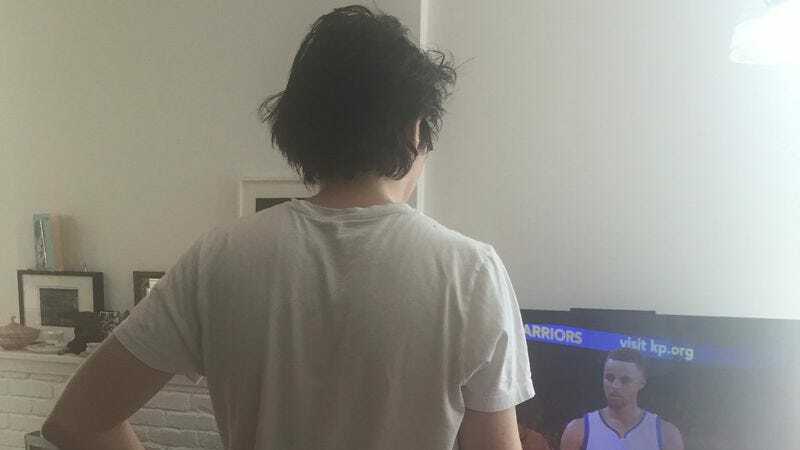 Knowing he couldn’t watch it live, he tried to avoid all news about who won until he could watch the game today with his girlfriend, Zoe Kazan, who live-tweeted the whole thing. Unsurprisingly, the results were both charming and adorable. The whole thing is pasted below, and features much Dano-style TV trash talk as well as a bunch of cool basketball drama. Although Dano was born and raised in New York City, he’s apparently got the soul of a Clevelander, as he ends the game in happy tears.